Whether you’re taking on regional or nearby international flights, it’s always best to charter for a private ride on board the Saab 2000. This aircraft has interiors which are equivalent to 58 passenger seats. It also includes comfy chairs and divans to ensure you’ll have a restful flight for an entire hour or so. Depending on your private charter’s initial configuration, a standard and customized Saab 2000 would usually have WiFi connection. This feature ensures you’ll stay connected with friends, family and professional networks throughout your trip. Considered as a much bigger version of the Saab 340, the Saab 2000 allows for much a lengthier legroom plus quieter cabins. These features both ensure comfortable flights among passengers. You may also inquire about the plane’s in-flight features so you can have an enjoyable ride. Know more about the specifications of a private Saab 2000, and book for your very own flight today. Will you be coming from Toronto, Canada and you’re flying to as far as Oklahoma, USA or Hamilton, Bermuda? Then you can rely on the Saab 2000 to have the comfy features while flying you to your intended destination. For instance, some customized and private Saab 2000s usually have combinations of passenger seats and divans in their cabins. Each seat would even have small panels of televisions so they can stay amused throughout the rest of the flight. There are spaces which have built-in tables along with their seats, for passengers to relish their snacks. This plane’s all-around spaciousness will simply give off a breathable experience as you charter for a flight on board its cabins. Even on short range flights, you can rely on the Saab 2000 to provide you with a reliable speed to reach your short haul destination. Will you be maxing out the aircraft’s flying range? Then it would be best to ask about your allowable number of passengers and luggage weight with the operator. This way, your service can take note of your flight plan’s best combination of routes and schedules to maximize your trip. Generally, a lighter plane lets you reach farther locations at the fastest possible rate. 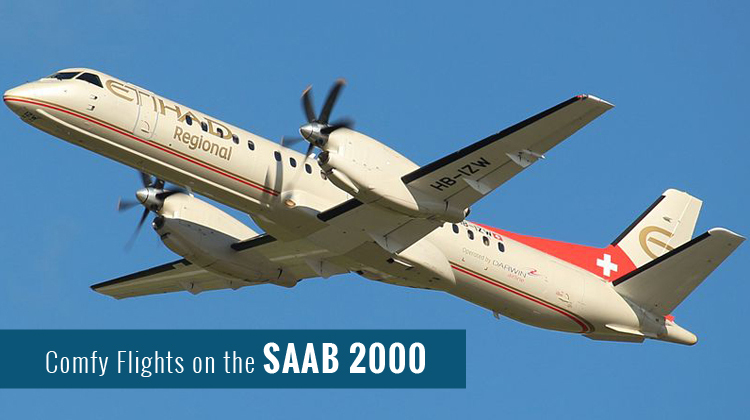 Manufactured by Saab Aerospace, the Saab 2000 had its first flight in 1992. It was intended to be built not only to have a much more stretched fuselage compared to its aircraft reference, the Saab 340. The Saab 2000 was also found to have a competitive performance among mid-range planes with its jet-like competencies. Today, there are roughly 63 Saab 2000 aircraft being flown all over the world. Thus flying on a private basis, on this aircraft gives off a feeling of exclusivity among jet setters. 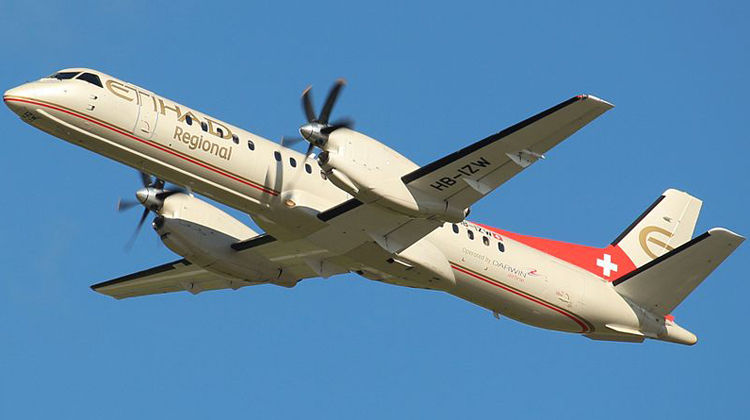 The Saab 2000 also has Darwin Airline, Loganair and Eastern Airways among its primary users.